Below is a comprehensive list of hotels in Fordingbridge. Use the sort links to refine your search or to find featured accommodation in Fordingbridge. Many of our hotels in Fordingbridge feature no booking fees and best price guarantee when booked through the Pictures of England website. To list your hotel in Fordingbridge, click here. 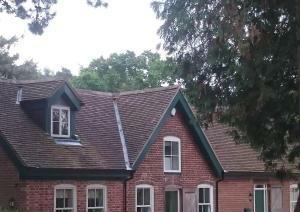 Walnut Tree Cottage is a holiday home is located in Fordingbridge and is 25 km from Bournemouth. The unit is 27 km from Southampton. There is a seati.. Situated in Fordingbridge, this holiday home is set 25 km from Bournemouth. The property features views of the city and is 27 km from Southampton. Th.. Situated in Breamore in the Hampshire Region, this holiday home is 26 km from Bournemouth. The unit is 27 km from Southampton. There is a dining area..
Cypress Log Cabins is located inside the New Forest National Park and only a 5-minute walk from the renowned Sandy Balls Holiday Park. 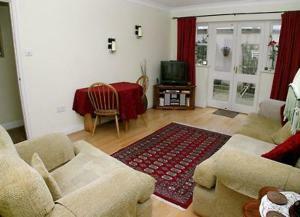 It offers a cov..
Paddock View is a holiday home is located in Alderholt and is 22 km from Bournemouth. The unit is 30 km from Southampton. An oven, a toaster and a re..
Millpool Cottage offers accommodation in Sandleheath, 24 km from Bournemouth. The unit is 30 km from Southampton. There is a dining area and a kitche.. 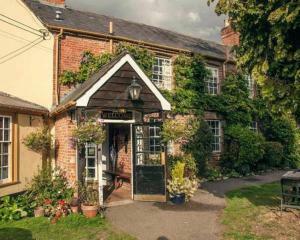 Located 20 km from Bournemouth, Snowdrop Cottage offers pet-friendly accommodation in Fordingbridge. The unit is 28 km from Southampton. 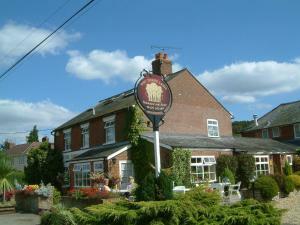 Free WiFi is ..
Set in Hale, Pink Cottage offers self-catering accommodation with free WiFi. It provides free private parking. A dishwasher and an oven can be found .. Located on the edge of the New Forest, The Annexe is a spacious one-bedroom property. It offers free onsite parking and free WiFi. The Annexe is book.. 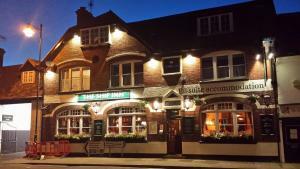 The Compasses Inn is situated in Fordingbridge, 25 km from Bournemouth. Guests can enjoy the on-site bar. Free private parking is available on site. ..